While creating a sample application that shows the stunning improvements of our Adobe PDF import functionality, I thought to revisit how TX Text Control Server for ASP.NET can be used in a Windows Azure environment. Windows Azure is the perfect environment to host, scale, and manage web applications. 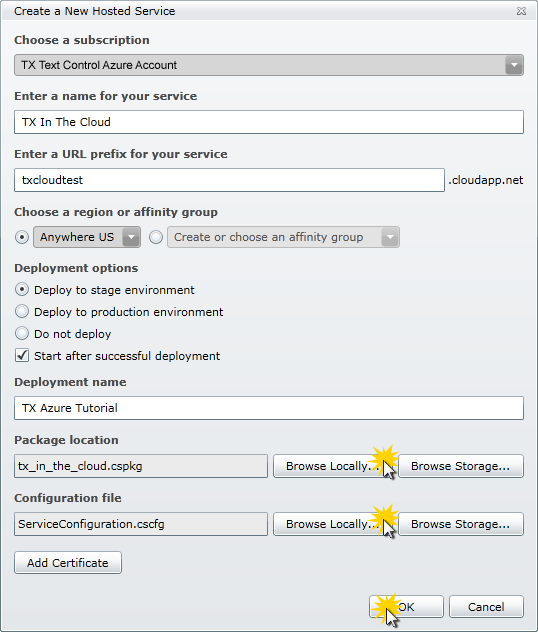 TX Text Control Server for ASP.NET is Azure Ready and can be easily used in Microsoft datacenters. 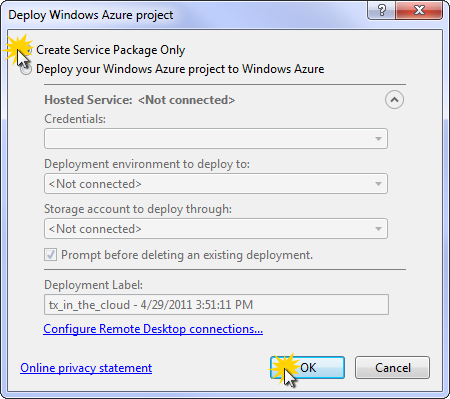 From the installed project templates, choose Windows Azure Project from the Cloud category. In the next dialog box, choose an appropriate role for this new project. 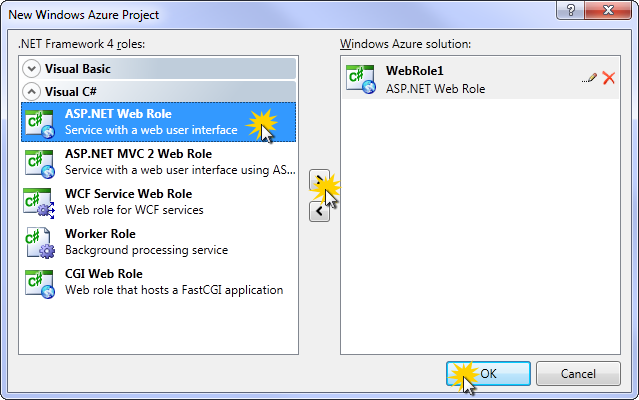 For this tutorial, we will select ASP.NET Web Role. Add this role to the solution and confirm with OK. 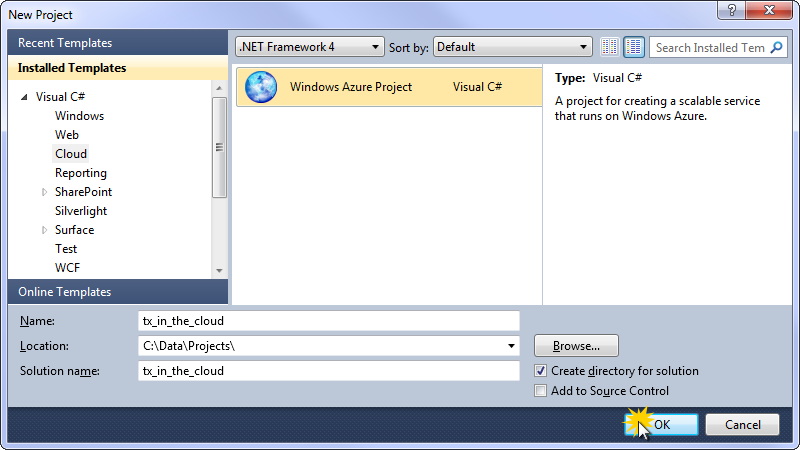 Select the web application (WebRole1) in the Solution Explorer and select Add Reference... from the Project main menu. 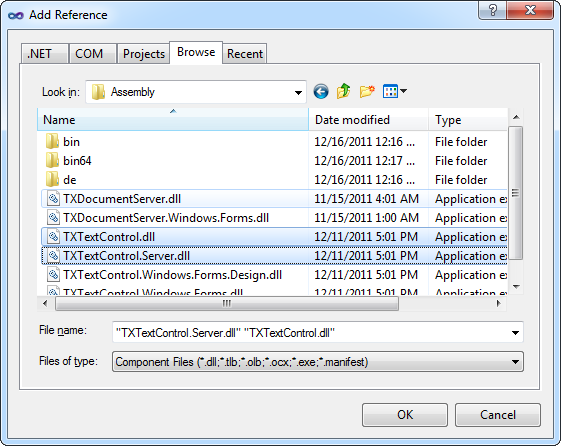 Browse for the TXTextControl.dll and the TXTextControl.Server.dll from the Assembly folder of the TX Text Control installation directory. 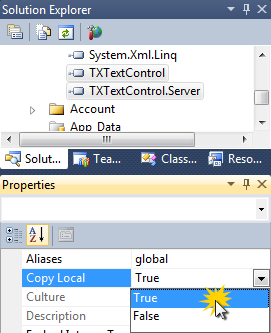 Select the added references in the Solution Explorer and set their Copy Local property to True. Select the web application (WebRole1) in the Solution Explorer again and choose Add Existing Item... from the Project main menu. 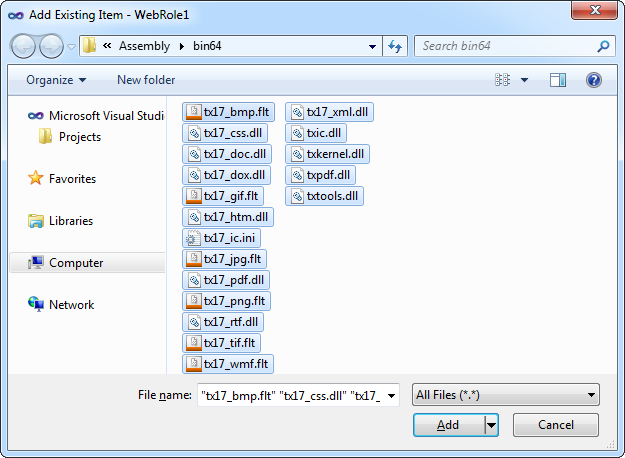 Browse for the TX Text Control installation folder (default: C:\Program Files\Text Control GmbH\TX Text Control 17.0.NET for Windows Forms\Assembly\bin64), select all files from the bin64 folder and confirm with Add. Now, select all newly added files in the Solution Explorer and set their properties Build Action to Content and Copy to Output Directory to Copy always. Open the Split view of the Default.aspx page and remove the default content between the MainContent placeholder tags. 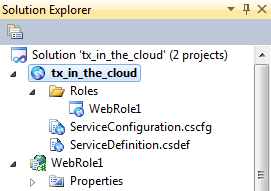 Select the Windows Azure Project in the Solution Explorer and select Publish [tx_in_the_cloud] from the Build main menu. In the opened dialog box, select Create Service Package Only and confirm with OK. Visual Studio is opening a folder with two created files. If you did not create an account for Windows Azure yet, follow the required steps on their website. Choose New Hosted Service from the Common Tasks. Complete the form fields in the opened dialog box describing the name and URL of the newly created application. Browse for the Package location and the Configuration file by clicking the Browse Locally... buttons. Choose the files that have been created by Visual Studio. Upload the project by clicking OK. The uploading and finalizing by Windows Azure might take some time. Depending on the size of the project up to 30 minutes or more. Now, the application is available "in the cloud" using the given URL (e.g. http://txcloudtest.cloudapp.net/).